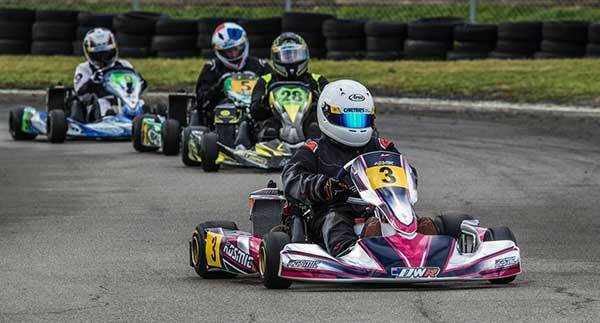 Rangiora karter Chris Cox was back to his best at this year’s Insite-sponsored Sunbelts Sprint Championships meeting over Queen’s Birthday weekend, winning the Rotax Max Light class outright and finishing second to Blenheim ace Daniel Bugler in Open. In doing so Cox has jumped into an early lead in the Properly Plastered-sponsored Mainland Series points standings in both classes, with a 30 point buffer over Caleb Huston in the Rotax Max Light standings and – with Bugler not signed up for Mainland points – a 45 point advantage over Jack Noble-Adams in Open. The long-running Sunbelts Sprint Championships event runs to a unique format over two days at Blenheim and Nelson, being regarded effectively as one meeting of nine races per class using an eight-heat with predetermined grids plus Final format. The first five heats with pre-determined grids were run at Blenheim on Saturday while the other three plus the Final (with the grids for each class Final based on the lowest points from the heats) were run at Nelson on Sunday. Once each class Final was run and won drivers then got to drop their worst result from the nine races to decide the overall Sunbelts class winners for the year. This year’s event attracted over 90 entries from Invercargill in the south to Auckland in the North. 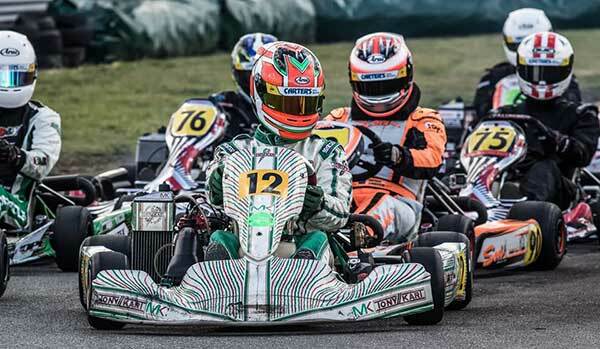 Young Auckland driver Sebastian Manson claimed the biggest scalp in fact, beating top Christchurch driver Louis Sharp to win the Sunbelts Vortex Mini ROK title from Sharp and young Dunedin ace James Black. 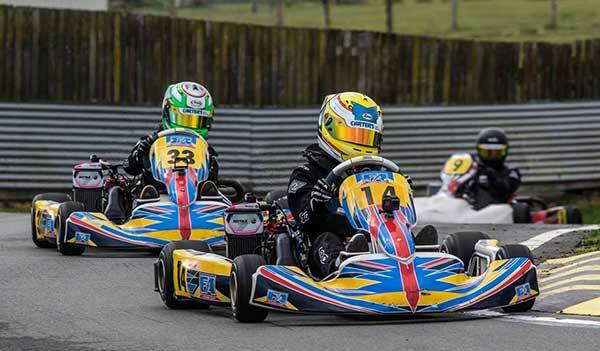 Tauranga driver Darren Walker was the other North Islander to take a Sunbelts trophy home with him, winning the Rotax Max Heavy class from Dunedin’s Arron Black and Nelson’s Kevin Barker. Hamilton brothers Fynn and Clay Osborne deserve a mention too. 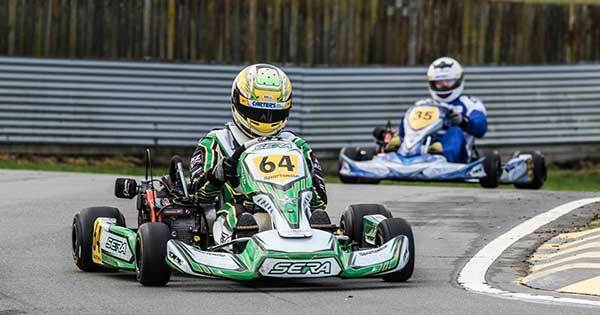 Fynn ended up in the closest of second placings (the result went to countback after the pair tied on points) to top local driver William Exton in the Rotax Max Junior class with Clay third. 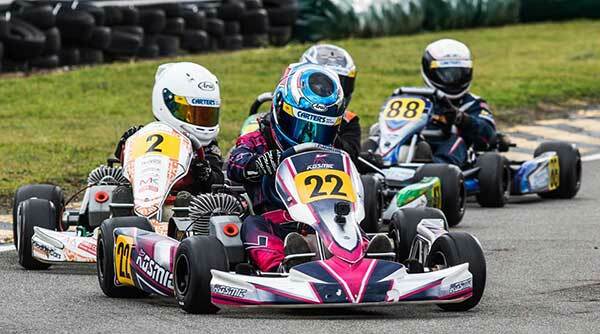 The focus of those signed up for this year’s Mainland Series now turns to the KartSport Dunedin and Southland clubs’ annual Southern Series in August then the third and final round at Christchurch club KartSport Canterbury’s Garden City Championships meeting at the end of September. 1. Cox 295 points; 2. Noble-Adams 250; 3. Shawn O’Hara 248. 1. Chris Cox; 2. Caleb Huston; 3. Jack McLaren; 4. Samuel Waddell; 5. Andrew Broughton; 6. Cameron Hay. 1. Barker 254 points; 2. Barrett 239; 3. Black 234; 4. Rankin 228; 5.Sam O’Malley 223; 6. Derryn French 220. 1. Jason Richards; 2. Nathan Clive; 3. Kerry Diamond; 4. Neil Butts. 1. William Exton; 2. Fynn Osborne; 3. Clay Osborne; 4. Zachari Christensen; 5. Liam Pink; 6. Bo Hill. 1. Exton 291 points; 2. Christensen 244; 3. Pink 240; 4. Hill 235; 5. Douglas 233; 6. Dominic Robertson 230.